Reiki is an intelligent energy force for healing our physical, emotional, mental and spiritual selves. The word Reiki (Ray-key) is Japanese and means “Universal Life Energy.” The practice of Reiki healing was discovered in the late 1800’s and brought over from Japan to the United States by Dr. Usui. A Reiki practitioner transfers this energy by placing his or her hands on or above different areas of the physical body. The client (fully clothed except for shoes) usually lies on a massage or similar table. Since the Reiki energy is intelligent, it knows where to go and what to do. The energy does the healing and the practitioner acts only as a channel for this energy to flow. 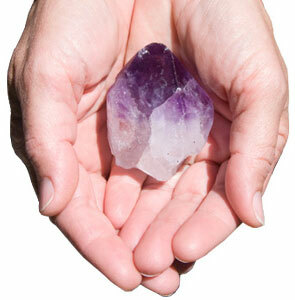 Crystal therapy dates back to Incan, Egyptian, Mayan, Atlantean, and Lemurian Civilizations. In this healing practice, quartz crystals, and other stones and crystals are placed on and around the body to stimulate and sensitize subtle vibrational patterns, release energy blockages, and harmonize vibrational frequencies. Crystals are used to draw and amplify light and color to the body’s aura, thus raising its vibrational frequency, and facilitate healing.